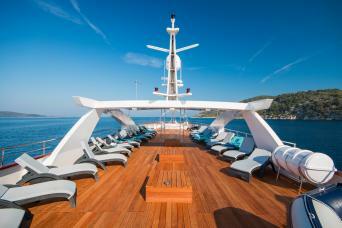 Built in 2015 with latest state-of-the-art equipment and amenities, the MS Infinity is a 49 m long, 8.8 m wide luxury vessel, with a cruising speed of nine nautical miles. 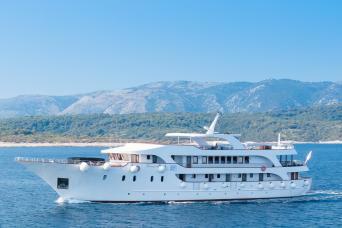 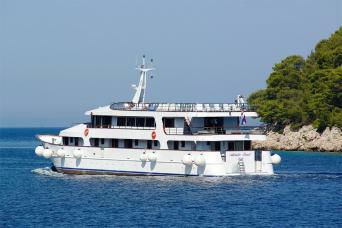 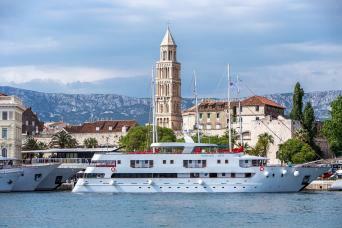 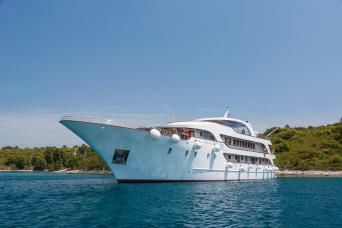 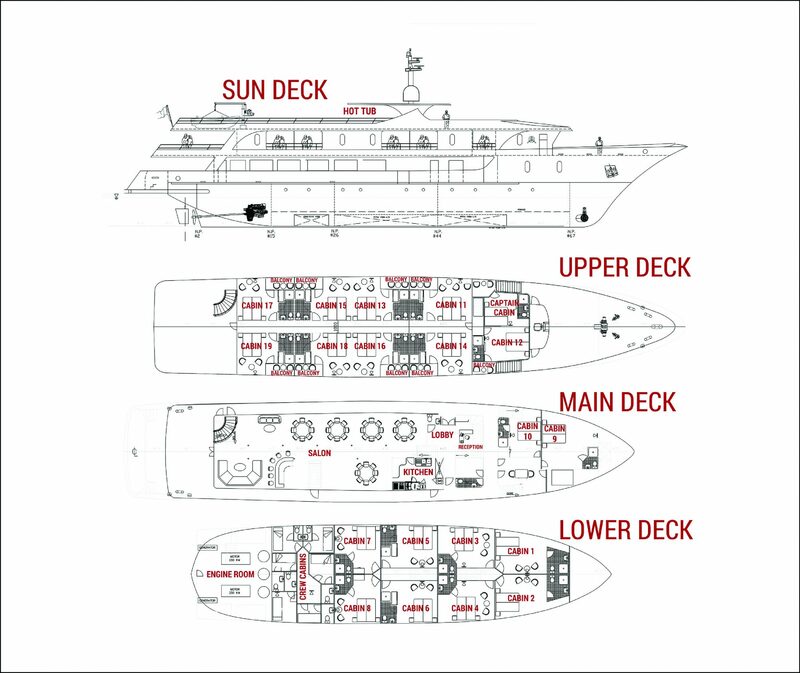 Maximum capacity of 38 passengers in 19 twin or double cabins, guaranteeing an intimate setting for all guests. Upper deck cabins have their own private balcony. All cabins are fully equipped with air conditioning, safe deposit box, fire alarm, emergency lights and audio system for announcements by the captain or Cruise Manager. 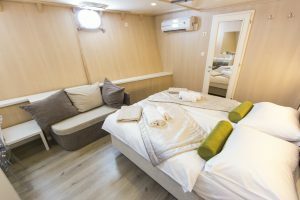 In addition each cabin has life jackets, desk and tabouret (small chair), wardrobe, night stand, small sofa and a porthole or window. 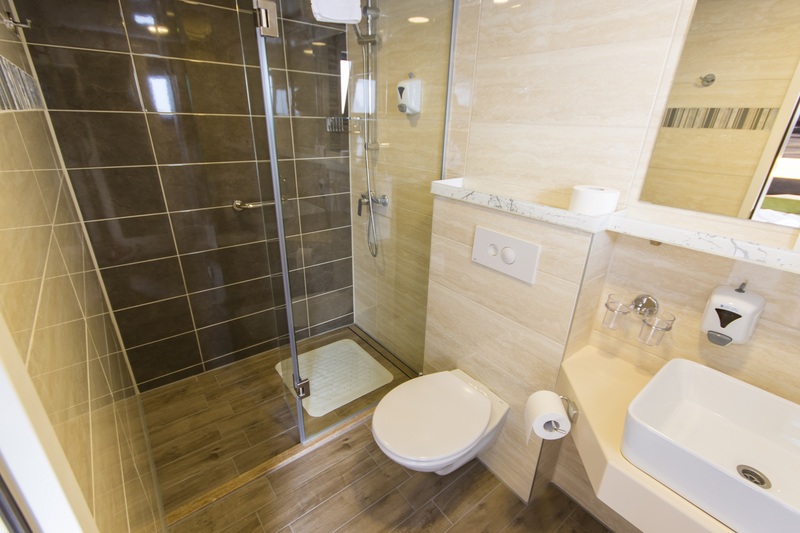 Bathrooms are equipped with toilet, shower, wash basin and hair dryer. 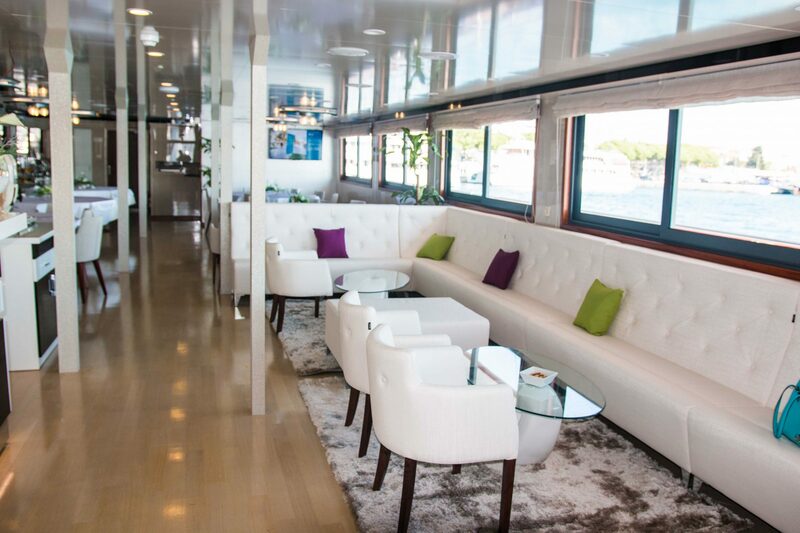 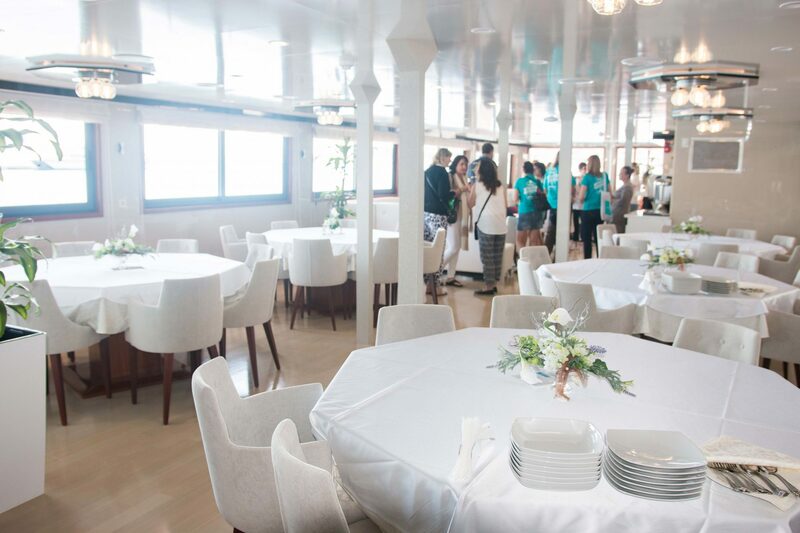 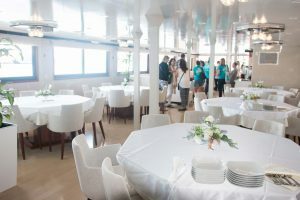 All cabins have indoor passage access to the bar and restaurant area (except two main deck cabins that are connected to restaurant via outside deck). 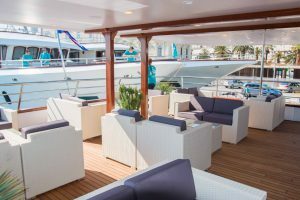 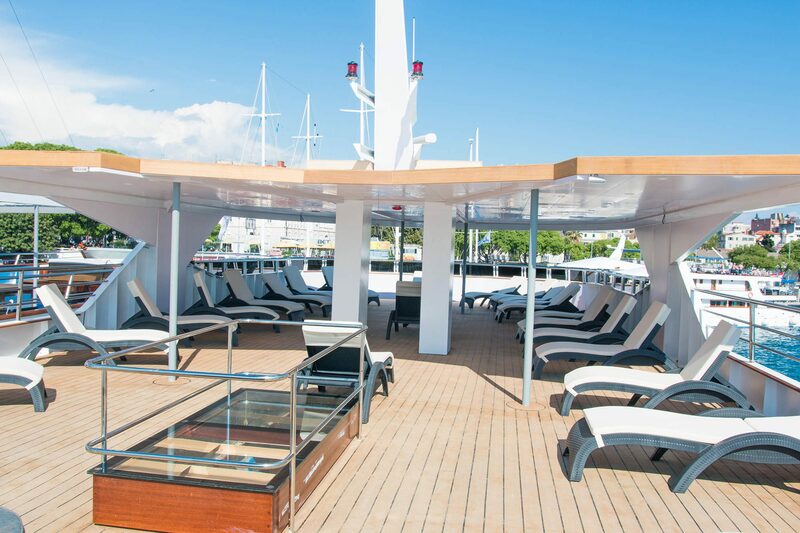 Spacious fully air-conditioned main deck dining room offering privacy including bar area with LCD TV, a corner buffet breakfast table and lounge area on the rear of the upper deck. 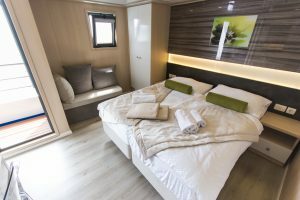 Kitchen is built to the latest HACCP standards. 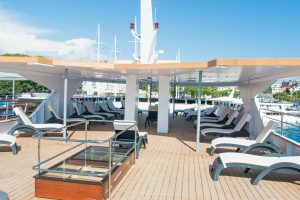 Large sundeck that has a total surface of 250m2 with partial sun-shade cover of 70m2 and comfortable deck-beds for all passengers all with easy access to the Jacuzzi tub. 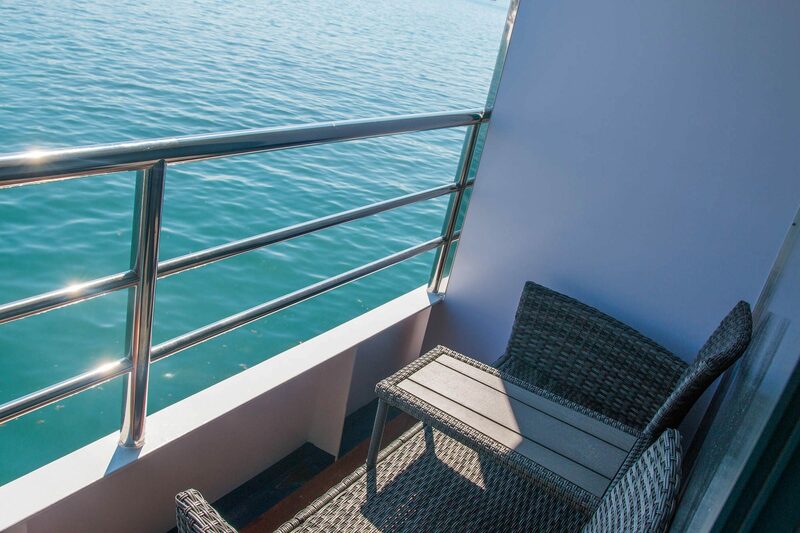 The vessel has a rear platform to the sea with ladders for easy access into the water and offers two outdoor showers and two deck lavatories.